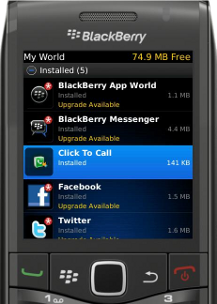 Make sure you have BlackBerry app world installed on your BlackBerry smartphone. 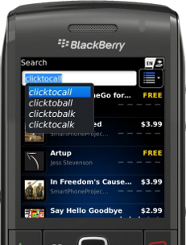 Now open BlackBerry App World and select “search” from BB menu from your phone. 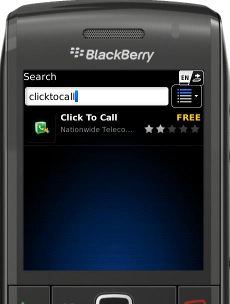 Click search and search for “click to call”. Press the Menu key and select View. 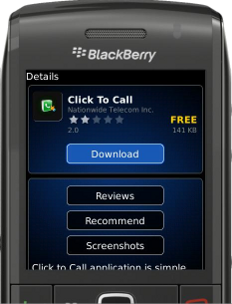 The application details will now be presented which contains information about the product, screenshots and reviews of the application from other BlackBerry smartphone users. 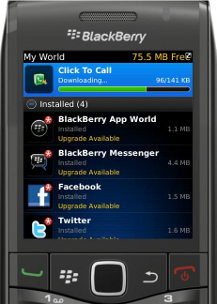 Click Download to install the application. 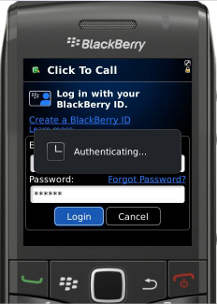 Download will ask you to login with your BlackBerry ID. These details will be authenticated before download starts. 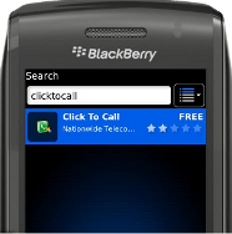 Account details once authenticated, “click to call” application download will start on your phone. After installation is done, you are able to see it in your installed application list. 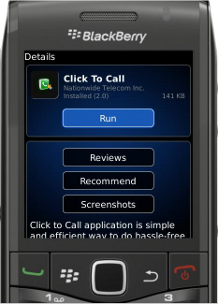 You can “run” the application to start making calls.